Bronywn Bishop already had her go with her ‘ban the hijab in schools’ mantra in 2005. Now it’s time to up the ante with the ‘ban the burqa’ mantra. It boggles my mind when political figures like Jacquie Lambie draw links between the burqa and terrorism. What’s the connection? This ‘ban the burqa’ claim feeds the age-old fear of “the other”. The unknown. It’s easy to demonise those who are different, and then blame them for all societal ills. The last time I checked, nobody wears the burqa in Australia. It’s unique to Afghanistan and is fantastic protection against dust storms. The face-veil is actually called the niqab. It’s a good idea to double check terminology before jumping to ban them. It’s been done to death – this discourse that Muslim women’s attire embodies everything the world should be afraid of. I suspect that fumbling politicians love to target Muslim women’s attire when they run out of things to talk about. It’s a fabulous distraction strategy. Save the brown women! Save the brown Muslim women! Because Muslim women are clearly so oppressed and forced into hijab and niqab, and need to be rescued. Come on. I think a refreshing change in discourse is long overdue. I wear my hijab as an act of spiritual devotion. And there are women in Australia who cover their faces for the same reason. Our choice. What happened to the quintessential Aussie value of giving each other a fair go? So many Australian Muslims are born in Australia, and the rest of us migrated at different ages. We all call Australia home. I live in KL, Malaysia now with my Malaysian husband, but I miss so many things about the country I grew up in. I miss walking along Haldon St, Lakemba, during Ramadan. I miss having my hot chocolate and blueberry bagel at the Lane Cove cafes. And I really miss swimming at Balmoral Beach on a hot summer’s day. When I read the news lately and scroll down my facebook newsfeed, part of me is relieved I don’t have to witness this disintegration in person. I prefer to the keep the memory of feeling at home, comfortable, and safe in Australia. Despite the recent Islamaphobic climate, I have hope that my fellow Australians are media-savvy enough to not believe everything they see on TV. Don’t believe the hype, the fear, and the frenzy. Make friends with Muslims if you haven’t already. The everyday Muslim is just as outraged at the atrocities committed by the ISIS, or ISIL, or whatever they call themselves. Sit down for a cuppa and get to know your Australian Muslim colleague. If you ask me, the threat of bigotry, ignorance and ensuing hate crimes in our own backyards is a lot scarier than the burqa. In the space of these frenzied few weeks, I’ve had Muslim friends and acquaintances feel unsafe while walking on once-familiar streets. A friend of mine is a hijabi like me. She’s recently been spat on by a stranger. What’s going on? How is this OK? 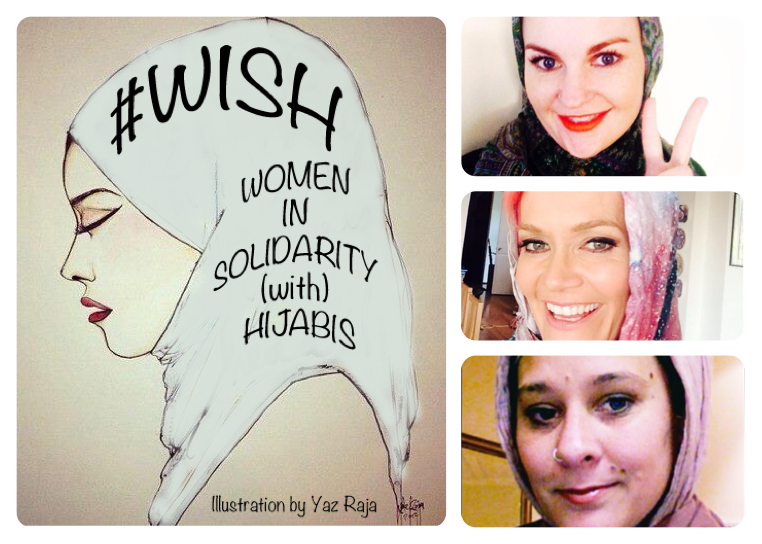 On the bright side, I’m heartened that initiatives like the #WISH (Women In Solidarity With Hijabis) are going strong. Thank you, Mariam Veiszadeh, for starting it up along with the Islamophobia Register. The flood of submissions proves that for every verbally abusive and spitting bigot, there are far, far more kind and open-minded Australians. (Note how there is zero need for a WISB foundation, because there are no burqa-wearing women in Australia.) I’m so touched by the outpouring of support, positivity and acceptance. Now there’s a gem for the politicians of today. So, Australian politicians, instead of banning the burqa, I suggest banning ignorance, bigotry and discrimination. Now that’s an Australia I’d love to return to. This entry was posted in Featured and tagged australia, burqa, choice. Bookmark the permalink.